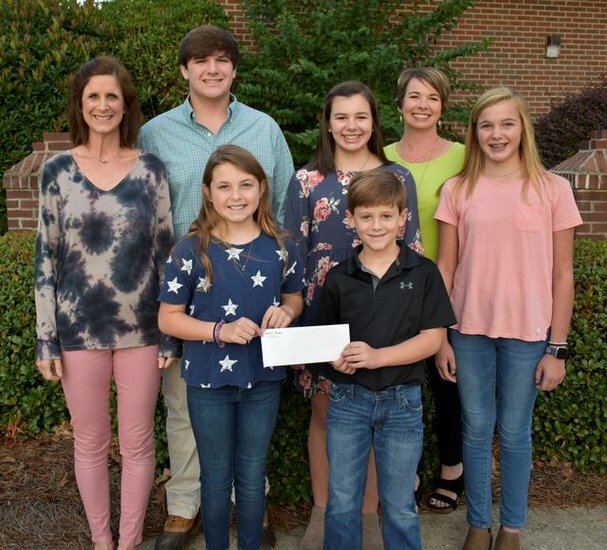 Southwest Georgia Academy alumnae, Spring Minick and Carol Burrell, their children Will Minick, Jadie Burrell and Gracie Burrell, and also other Southland students Emma FitzGerald and Hayes Hagerson are proud of Southland’s donation made to Southwest Georgia Academy to help with the rebuilding of their school and sports facilities due to the devastation of Hurricane Michael. In the devastation of Hurricane Michael, Southland Academy pulled together to help one of our fellow GISA schools. Southwest Georgia Academy in Damascus experienced extensive damage to their school buildings and sports facilities. Southland collected monetary donations to give to SGA in this time of need. Administrators from SGA have stated that they will be able to use this money to clean up and rebuild their school, as insurance will not cover all of the expenses. Thank you to all who gave!